Maybe you missed it on Friday, but it was International Polar Bear Day. 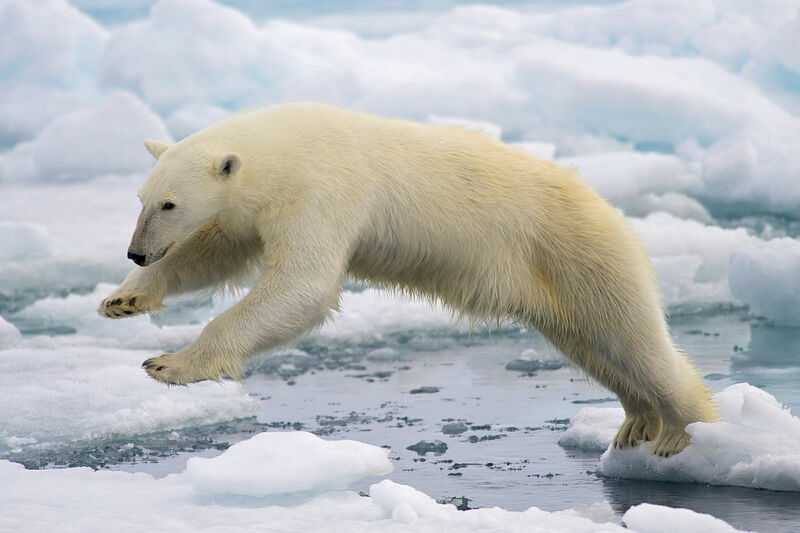 What does the Polar Bear make you think of? Cute, fluffy animals? A landscape of snow, glistening in the sun in a frozen utopia? Nostalgic Christmas cards? For some, the humble creature, which lives in the Arctic region, has become a symbol of world transformation. 2015 may be the most significant year yet for international discussions on climate change. The UN will host a climate change conference in Paris from the 30th November to the 11th December 2015. It will be chaired by Mary Robinson, a lady well respected for her commitment to action. Unlike the last two decades of negotiations, this year the convention aims to create the ‘first binding and universal agreement on climate change’. This agreement shall then seek to limit greenhouse gas emissions to an extent that consequent global warming is limited to 2 degrees Celsius above pre-industrial levels. Even assuming the success of the UN programme, climate scientist Dr Rachel Warren warns that ‘There isn’t a single region that thinks we can avoid all the impacts of even 2 degrees of warming by adaptation – let alone 4 degrees’. If predictions are correct, this coming century could be one of unprecedented international crisis. This is where the polar bear comes into it. At current rates, the US National Center for Atmospheric Research predicted that the Arctic could be ice-free in summer as early as 2040. If correct, the polar bear’s natural habitat could completely disappear and the iconic mammal become extinct within the next few decades. Alongside them, the culture of the native Inuit people, founded on the presence of Arctic ice, could likewise disappear. The loss of one species, or one people group, should be enough to move us to action. Yet the human cost of the loss of the Arctic is far more global. Resultant heatwaves, flooding and increased climatic instability, leading to extreme weather, pose great threat to human civilisation. This disproportionately affects those in poverty. Thus, the issue is not simply one of environmentalism but one of social justice and human compassion. Far more is at stake than just the polar bear – yet somehow baby animals seem more attractive motivators for intervention than the many thousands of homeless victims of famine, disease and war caused by climate change. Industrialisation is a mixed blessing. The Industrial Revolution enabled the modernisation of the West, and seems to be playing a similarly integral role in present-day developing nations. Yet our success could be at the price of the death of millions of men, women and children through natural disasters: deaths that could have been prevented by the earlier introduction of sustainable technologies. Intervention may be costly, unpopular, and even limiting to economic development. Yet, the lives and dignity of many millions may hinge on these efforts in the coming months to limit damage and prepare for a changing world. Any thoughts on what we should do? Suggestions welcome – just leave a comment! ‘Compromises Lead to Climate Change Deal’, http://www.universetoday.com/117355/compromises-lead-to-climate-change-deal/, accessed 23 February 2015.